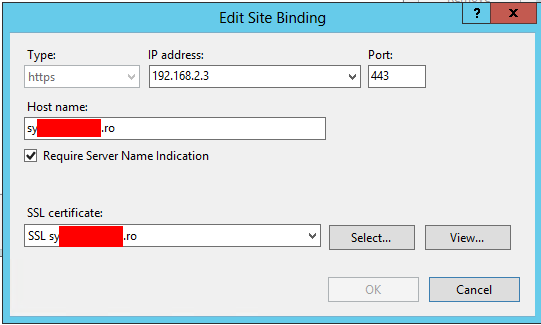 Recently on one of my SharePoint farms I noticed the “Open with Explorer” is not working. 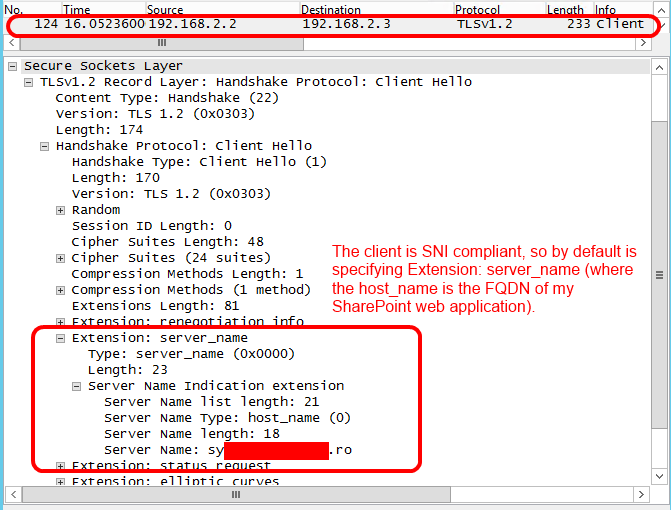 After couple of minutes of digging into the settings and performing network traffic captures I realized is not the SharePoint farm fault. 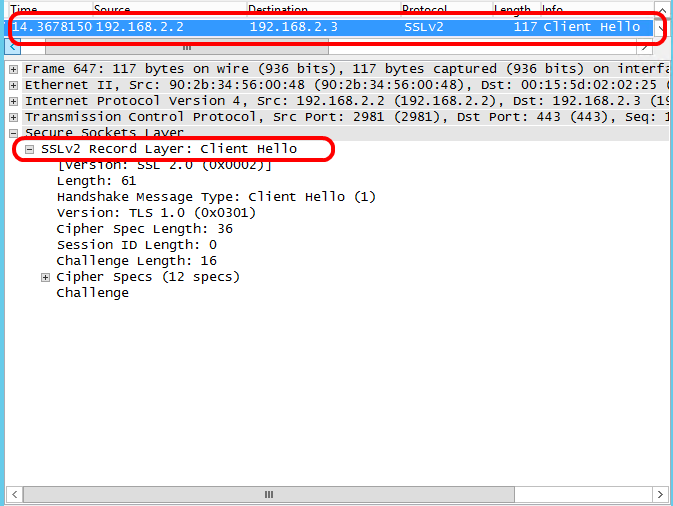 In fact is the Microsoft Windows WebDAV Client who’s not capable to handle the Server Name Indication (SNI). 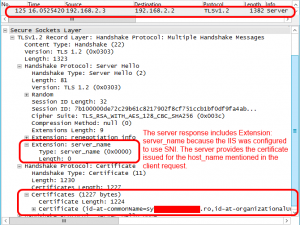 When you have only one IP address available, you host multiple domains, multiple services and all of the communication traffic must be encrypted, then the only solution is to use Server Name Indication (SNI). 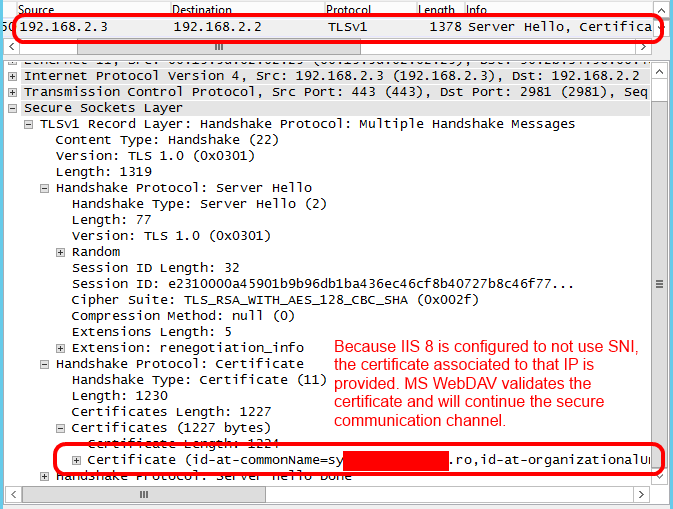 “TLS does not provide a mechanism for a client to tell a server the name of the server it is contacting. 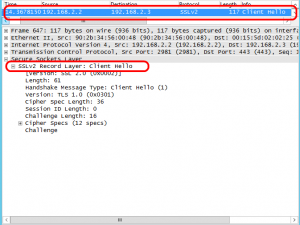 It may be desirable for clients to provide this information to facilitate secure connections to servers that host multiple ‘virtual’ servers at a single underlying network address. 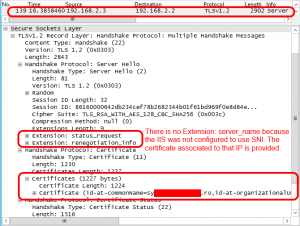 According with the latest update (RFC 6066 – Transport Layer Security (TLS) Extensions: Extension Definitions), the client has an important role – to include an extension of type “server_name” that will help the server to identify the appropriate certificate that will be used to secure the connections. 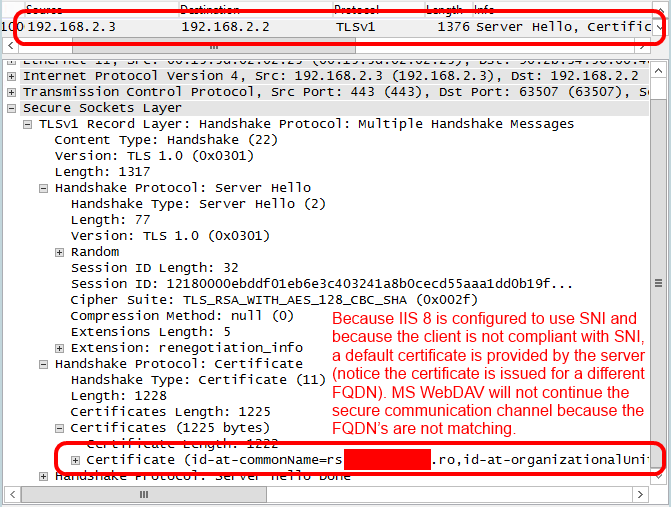 If the client doesn’t provide this “server_name” extension, the server will not know what certificate to use and most likely will reply with a default one (which could be not issued for the FQDN the client is connecting to – case in which the communication channel should not be trusted). 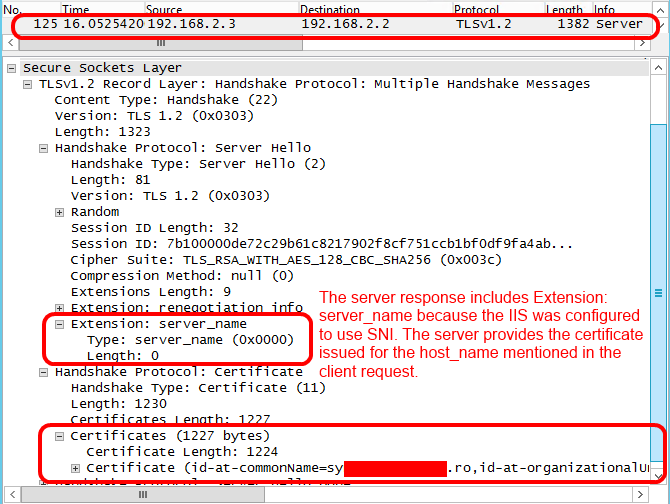 SNI is not a recent extension. 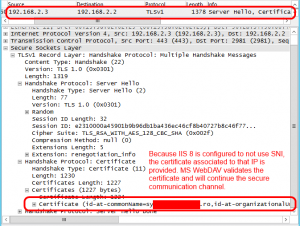 It was mentioned since June 2003 by the RFC 3546 – Transport Layer Security (TLS) Extensions. 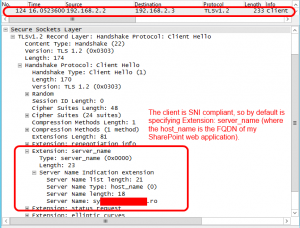 However not all the clients (majority of them web browsers) are compliant with SNI. This is a sad. Why does the software companies are not really taking serious these standards? Microsoft Internet Explorer is SNI compliant starting with Microsoft Windows Vista and Internet Explorer 7. 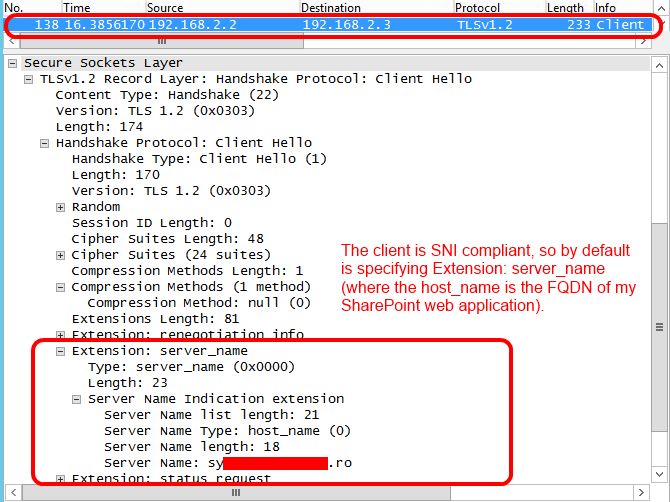 I highlighted the key sections from the RFC, now let’s see how IE 11 and Microsoft Windows WebDAV behave with SNI. This will demystify the problem. 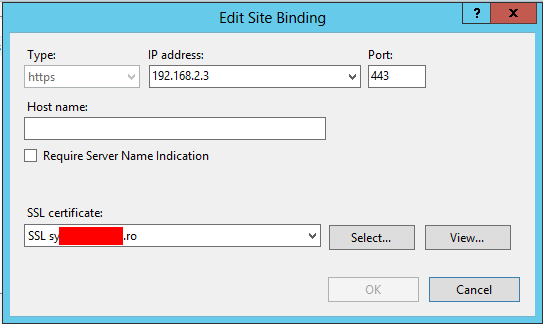 As we see, IE 11 always sends extension “server_name” and IIS 8 responds with extension “server_name” only when is configured to use SNI. Microsoft Windows WebDAV Client does not support Server Name Indication (SNI). If you troubleshoot “Open with Explorer” from SharePoint, have look over the SNI configuration. 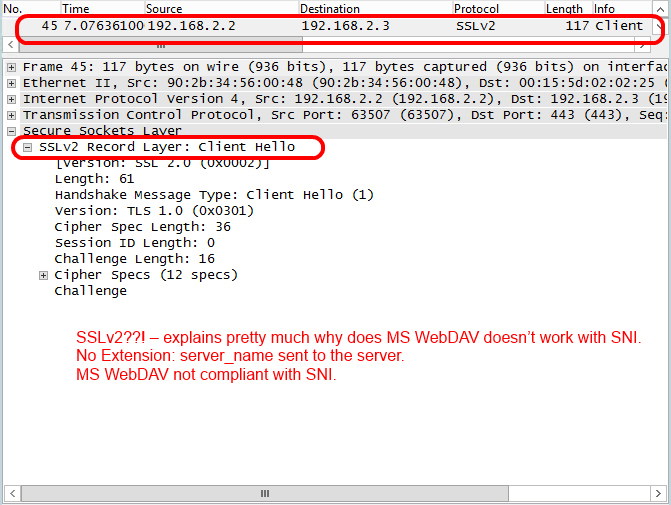 So far I found only one thread on the MSDN forums regarding Microsoft Windows WebDAV Client and SNI compliance. Unfortunately the moderator closed that thread due to lack of understanding. This is one of the best technical posts I have ever read. Very well done, thank you. 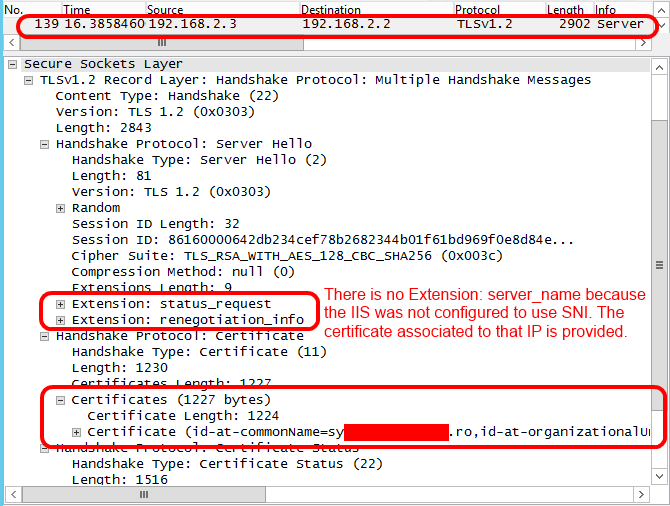 The article suggested by you is in the context of Web Application Proxy and AD FS 2012 R2 – where the trick is to assign the same SSL certificate for the IP + PORT used by the Web Application Proxy and AD FS service to listen (basically not add the SNI – a.k.a setup a fallback certificate). My article is talking about WebDav Clients (in general) without the intention to propose solutions. 1. 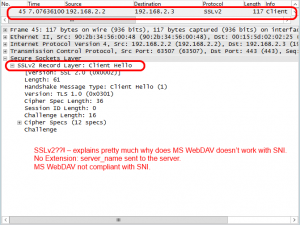 Use SNI – but WebDav will not work. 2. 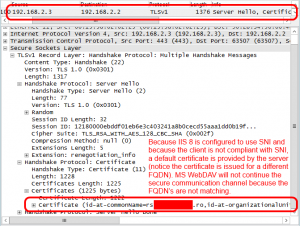 Use a fallback wildcard certificate (without SNI) – case in which the WebDav will work. Thanks for your article, it helped a lot!.. I have the same issue with Windows 10 and a Nextcloud deployment. I resorted of configuring the Haproxy default backend to point to the Nextcloud site in order to solve this.